The huge capital of Colombia takes my breath away, for there are so many things to do in Bogota. Part of the reason is its beauty, but mostly for the altitude: it is located at about 2600 meters above sea level. Add to this the incessant traffic and pollution, and it will be hard to breathe. What is most interesting about Bogotà is that, being the main city of what is considered a tropical country, it leaves me somehow puzzled. I did not really believe that the average temperature is 14 degrees celsius. And it does rain a lot, especially in the rain season – so, I was glad I had packed a raincoat, an umbrella, and warm clothes. Yet, it is an interesting city to visit and I wanted to spend a few days wandering around its squares and museums: there are many things to do in Bogota. It is modern, very progressive and lively, with a vibrant cultural, political and social scene, and at the same time as relaxed as only a Colombian city may be. It is a city of contrasts: La Candelaria with its elegant colonial buildings on one side, and the skyscrapers and glittering towers on the other. Bogotà is the main airport hub and has connections to the rest of the country and the world. It is well connected to Cartagena, and from Bogotà there are flights to Leticia, in the Amazon – this can only be reached via plane. 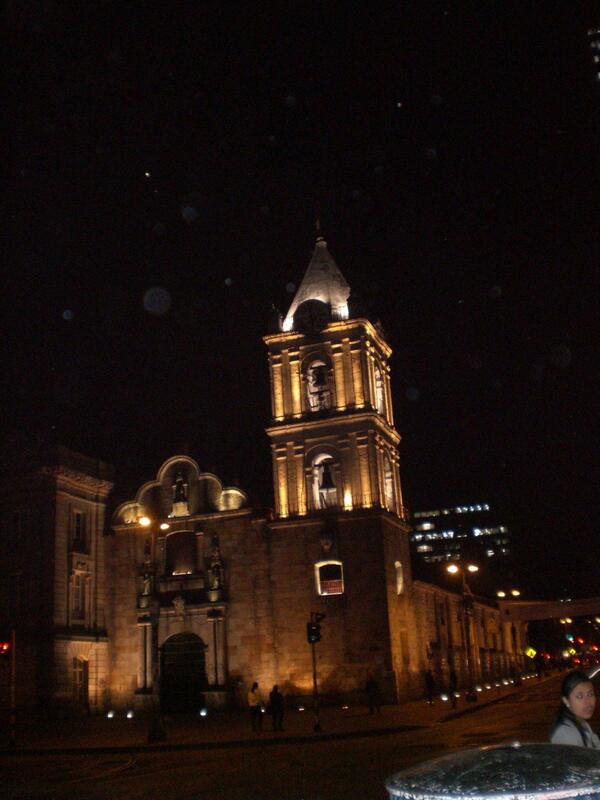 The city is to big and interesting that I am never left wondering what to do in Bogota. Plaza de Bolivar is the heart of the historic town, and is interesting to see, despite being, according to the Lonely Planet, a mishmash of architectural styles. On the western side of the plaza, the Catedral Primada is Bogotà’s largest church and can be visited for free. The Capilla del Sagrario, right next door, is the only colonial building on the square and there is no admission fee either. One of the best things to do in Bogota is going for a walk around La Candelaria: located east of Plaza de Bolivar, it is packed with cobbled streets, museums, theaters and cafes and street food. 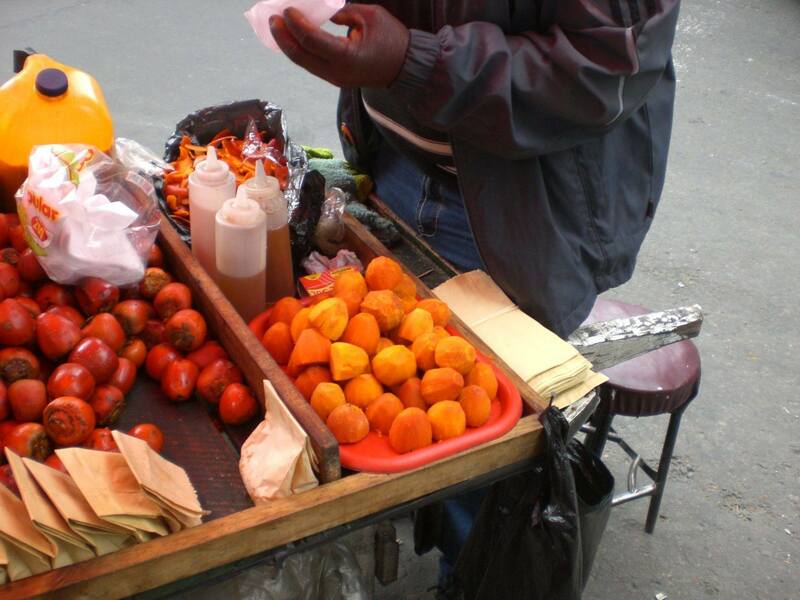 What to do in Bogota: trying street food! Things to do in Bogota: snapping as many Renault 4 as possible. 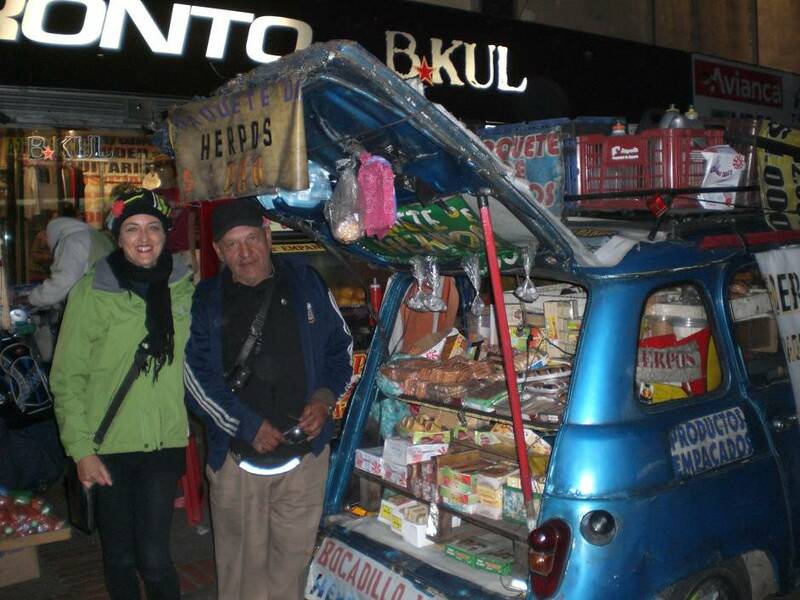 This nice man is an institution in Bogota! Visit Museo del Oro: I was looking for what to do in Bogota and headed to Museo del Oro. It has the biggest collection in the world of pre-hispanic gold work. 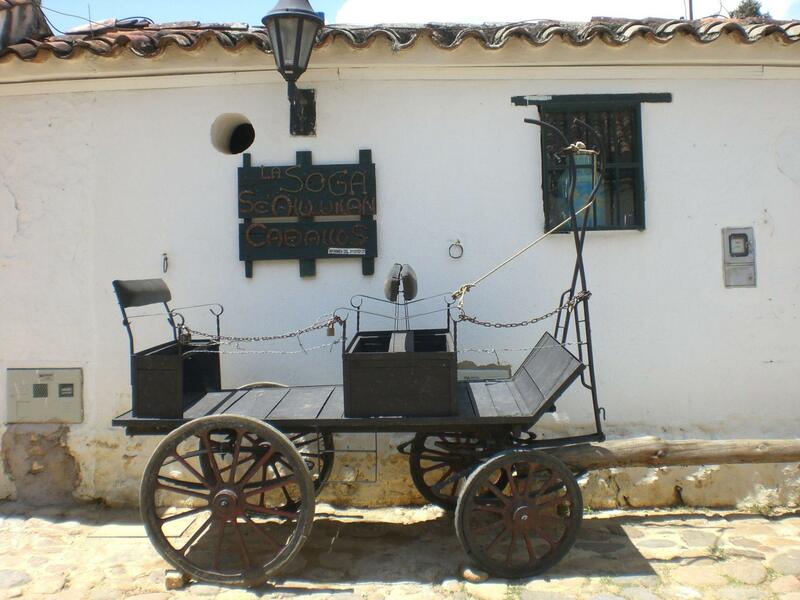 Visit Museo Botero: one of the things to do in Bogota is visiting this incredible museum. It is a great gallery founded by a donation of Colombia’s most famous artist, Fernando Botero, and there are works of other artists such as Picasso, Mirò, Renoir, Dali, Matisse and Monet. 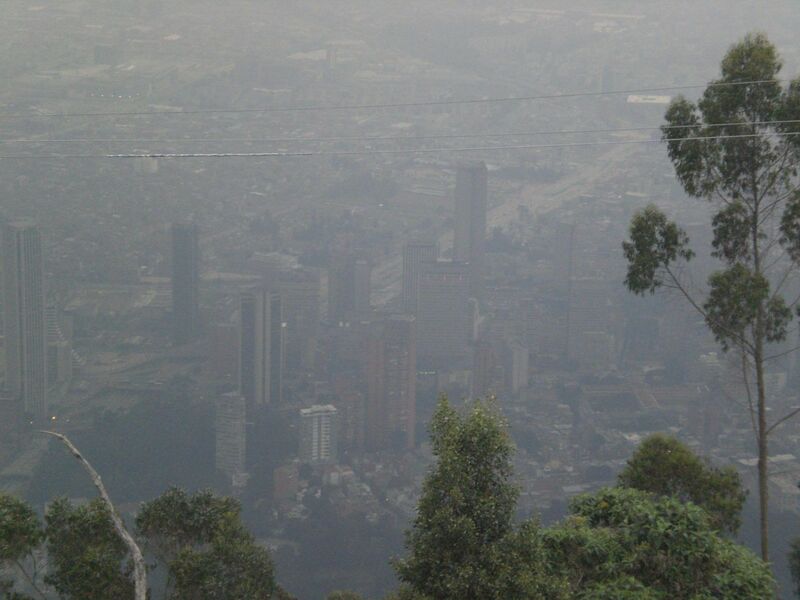 On of the things to do in Bogota is to go up the Cerro de Montserrate: considered one of Colombia attractions, this is by far my favourite one in town. It is more than a simple mountain. It is a peak that towers over Bogotà, at 3200 meters above sea level, and a symbol of pride for the residents of the city. The view of the city from up there is amazing, but try to go on a clear day to fully enjoy it. There is also a lovely, flowery park at the back. It is possible to go up by teleferico or funicular, or, if up for the challenge, there are 1500 steps to the top. I also advise to wear warm clothes. It gets chilly at that altitude! The city is huge, so I had to consider my options carefully since I didn’t want to blow my budget on transportation. Most travelers opt for some cheap accommodation in La Candelaria, and while I must say the area is pretty and safe, it does get very quiet during the night. It is best to find a hostel that has a kitchen to prepare your meals, as almost everything closes at 7 pm, including fast food chains, and even street food is harder to find after dark. Surely, one of the things to to in Bogota is trying some of the local street food – arepas are delicious, there is a huge variety of fruit too. 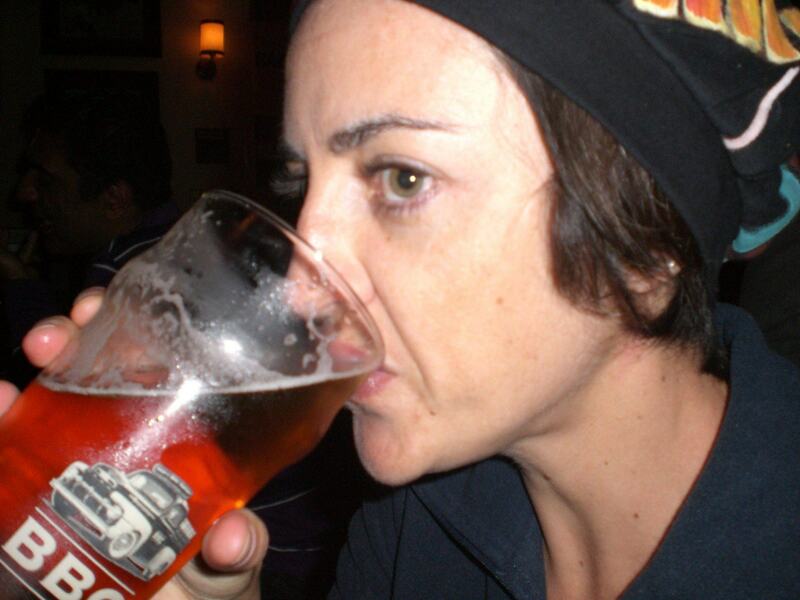 The best bet for late night food may be the Bogotà Beer Company pub – there are several around town, and one in La Candelaria in Calle 12D No. 4-02: this offers pub staples and great draft beers. When I have had enough of crowded and polluted cities and ran out of things to do in Bogota, one of the best places to visit in Colombia is Villa de Leyva. This is a good place to recharge dead batteries. Declared a national monument in 1954, and also a UNESCO World Heritage Site, this small city is a beautiful colonial settlement perfectly preserved – there is no modern architecture here. The town was funded in 1572 and feels like a walk-through museum: the main plaza is one of the largest squares in the Americas, and nearby there are three perfectly restored colonial mansions that now house cafes, restaurants and craft shops. The weather in Villa de Leyva is pleasant – dry and mild – and many bogotanos come over for the weekend to enjoy the beauty and the climate. There are many activities in the surroundings, such as a number of hiking paths. There is also the possibility to go biking or horse riding. 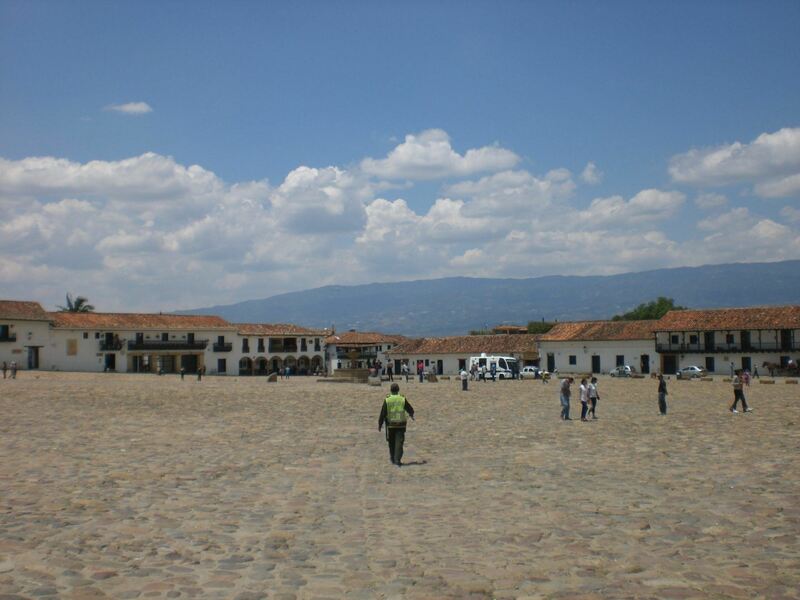 Villa de Leyva can be reached from Bogota with direct buses that take roughly 5 hours, and from Tunja which is about one hour away. It offers many budget options to sleep and eat, such as El Solar Hotel in Calle 10A No. 10-60, a lovely hostel whose owner is a really sweet lady. For more things to do in Colombia, read here.